Paris is a great city with an amazing number of restaurants. But do not hesitate to rent a car to go out and try the quieter and smaller towns outside Paris. I suggest you go to the southwest of the Paris area. 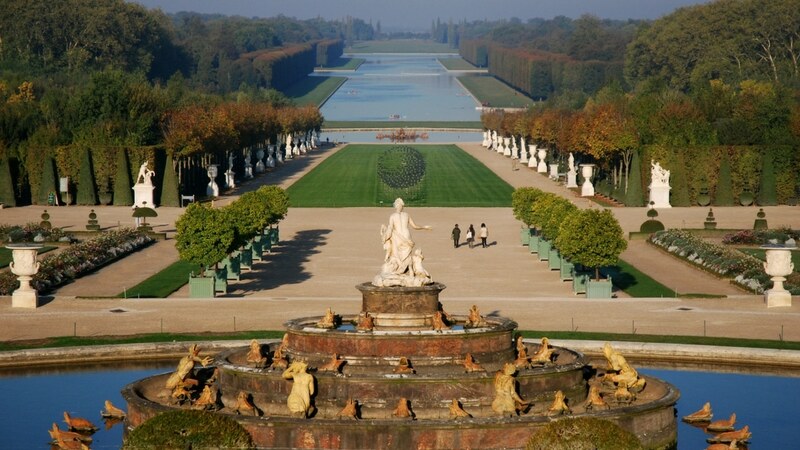 You will discover the great Versailles city, known to be the city of the King Louis XIV and his castle. In this majestic city, every corner has something to show you. Lose yourself in the old Versailles or the Saint-Louis district. Walk as a king in the alleys of the castle’s garden or rent a bike to discover the part that’s free of charge all the year: it takes some time to walk around the Grand Canal path (5,5 km). You can spend the day between the castle visit and the gardens, with a picnic under a tree. In summer they also propose animations in the part of the garden near the castle with music and water jets during the day and some fireworks events at night. In Versailles, the catering offer will please you with a lot of varieties, from high gastronomy to fast-food. A great choice is offered on the Notre-Dame market square. Good atmosphere on summer evenings with all the terraces. I can propose Le chien qui fume (72 rue de la Paroisse, 78000 Versailles). They offer good French cuisine and on the first floor, old caricatures are hanging on the walls. 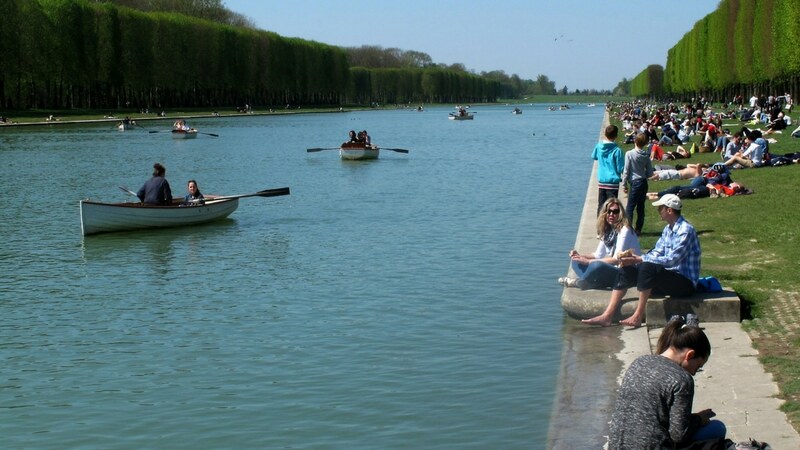 If you want to rest in the Versailles garden, you can try La flotille (Parc du Chateau de Versailles, Versailles) just in front of the boat renting at the Grand Canal. I just had a drink so I can’t tell about the cuisine, but its terrace is lovely and the service is efficient. Not far from the castle you may want to go to the cinema. Versailles still has two art-house cinemas: the Roxane and the Cyrano. After a screening at the Roxane you might be tempted to eat nearby. Nearby is the Shandrani (12 rue Saint Simon, 78000, Versailles), an Indian and Pakistani restaurant. People are kind and will tell you about the specialties with patience. The prices are reasonable (evening menu at 24€). The dahl is something worth trying. As the restaurant is small, it is preferred to book in advance. Near Versailles, the Saclay plateau borders the Chevreuse Valley. You’ll be thrilled with the green landscapes and forests, and you’ll be pleasantly surprised to find some old villages too. Several very good restaurants are dispersed. I can advise you to try one of my favorite restaurants La belle époque (10 Place de la Mairie, 78117 Châteaufort. Closed on Sundays and Mondays). I have been there twice with my companion. We had a good time and enjoyed French gastronomy. In a muted atmosphere, the service is chic and discrete. The menu and the à la carte menu are waiting for you. The menu of the day is what you’ll want (not available on Saturdays). The cuisine is a declination of French high cuisine with a touch of modernism. The quality of the raw ingredients is undeniable. The taste is in every bite. In summer the terrace is a good choice so you are surrounded by the atmosphere of this old village of the Chevreuse Valley. 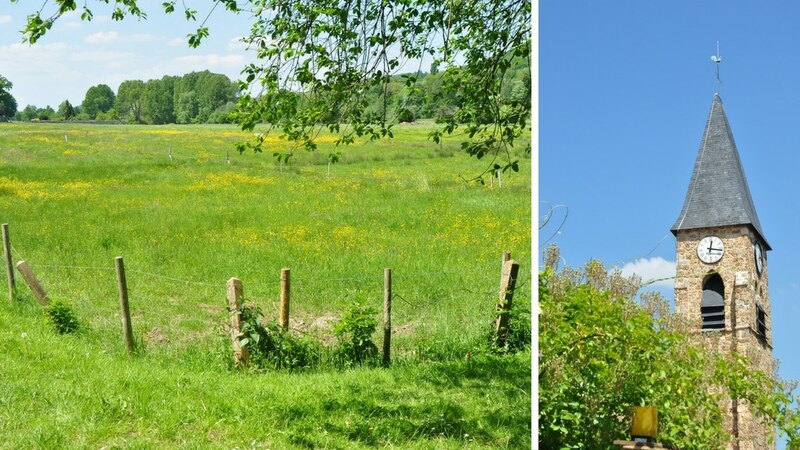 Even more in a green atmosphere is the Auberge de la Chapelle (6 route de Romainville 78470 Milon la Chapelle. Closed on Mondays and on Sundays from November to March). The building is made of the stones of this area: the burstone, very typical. In spring and in summer, the terrace is a real enchantment when the weather allows it. In the cold days, the fireplace warms the ambiance. The decoration is rustic, but what you find on your plates is not. Actualised French cuisine, with a high quality of the raw ingredients. The offer and the menus change with the seasons and according to what they have found on the market. For foie gras and style, you can also eat at the Ferme de Voisins (4 Rue de Port Royal, 78960 Voisins-le-Bretonneux. Closed on Sundays, and Saturday for Lunch). Hidden in the old heart of a standard town, you will appreciate the rural setting with the big fireplace and the old beams of this ancient farm. What you will have on your plate is in accordance with the decor and the service: classic and really good. The foie gras is just amazing. The desserts are unequal. If you go during the week, you can choose a short set menu at 31€.